Events in this post occurred in June 2007. We left the Watersports Campground in Dodge City, KS on June 24th and moved a little west and a lot north to the Holiday RV Park in North Platte, NE. Total trip was about 270 miles past corn fields and wheat fields that made us feel good while we traveled. We moved west on US 400 out of Dodge until we got to Cimarron, then we turned north on OK 23 to Dighton, then through Shields, Gove City and Grainfield Park. We changed to US 83 when we left Selden and crossed I-80 at North Platte. Rates at Holiday were $30 per night with our Good Sam discount. It was a nice park, but not worth $30 to us. A lot of other people must have felt the same. As Kathi and I were taking a walk around the park the next morning, almost every RV left the park. We assumed most people used it for overnight stays, which made sense to us. Since our retirement Kathi and I did not get enough exercise, although I probably did not get enough when I was working either. The walk made my calves ache, but it seemed to invigorate Kathi. That was enough reason for me to walk with her. It was a Monday and we spent the rest of the day inside our rv keeping cool. 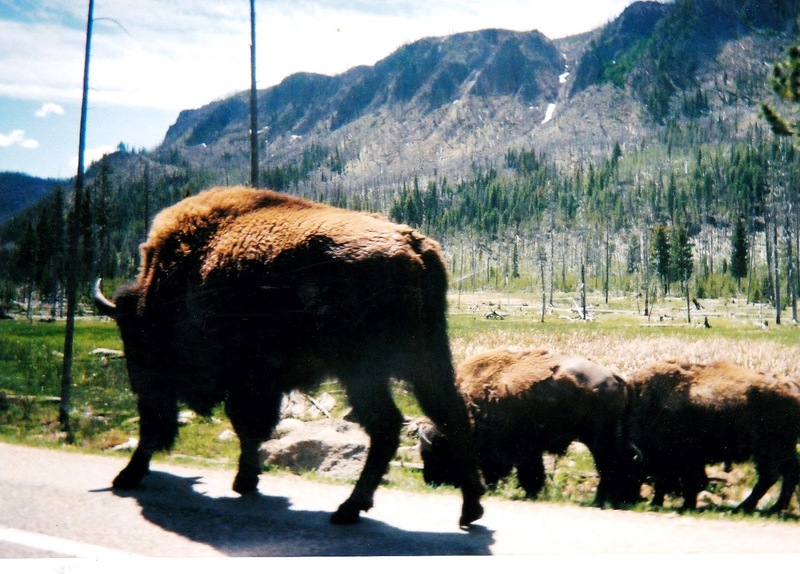 Tuesday morning, we moved 220 miles further west on I-80 to Cheyenne, WY. In addition to the wheat and corn fields we passed, we started seeing herds of cattle and cattle ranches. It was overcast and cool when we arrived at the Restway RV Park. Kathi used our Passport America discount and paid $150 to stay a week and $30 to stay an extra day for a total of eight days. I thought Kathi must have had high hopes for excitement in Cheyenne to want to spend a week there. When I asked, she told me she was trying to avoid moving on July 4th – she’s always thinking and taking care of us. The rv park was nothing special, but downtown Cheyenne was nice to see. We spotted some restaurants where Kathi would be willing to take me for lunch. We took several drives around town the next few days, thinking we may not ever be there again. The temperature was in the low 70’s and almost no humidity. We opened the windows a few of the cooler days and aired out the rv. The cool breeze was pleasant. On Thursday we took a drive to the edge of town where they had an rv ranch set up like an old west town. 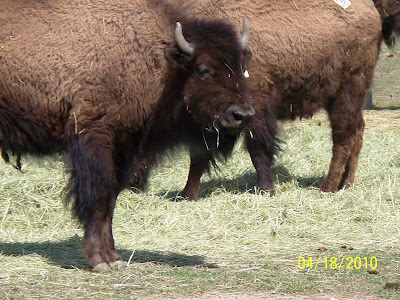 It was called Terry Bison Ranch RV Park. They had horses, cows, buffalo, llamas and even an ostrich. 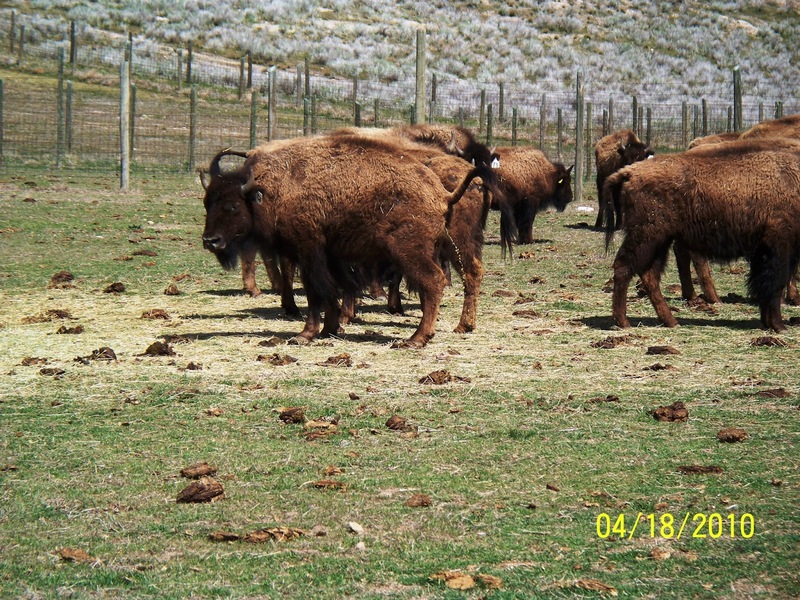 You could rent a horse and ride through a buffalo herd – how different is that today? It was a very family friendly park and we picked a beautiful day to visit. We had some heavy rain and gusting wind in the evening, but nothing could spoil the time we enjoyed in Cheyenne and we still had a few days to go. Sometimes you get lucky. 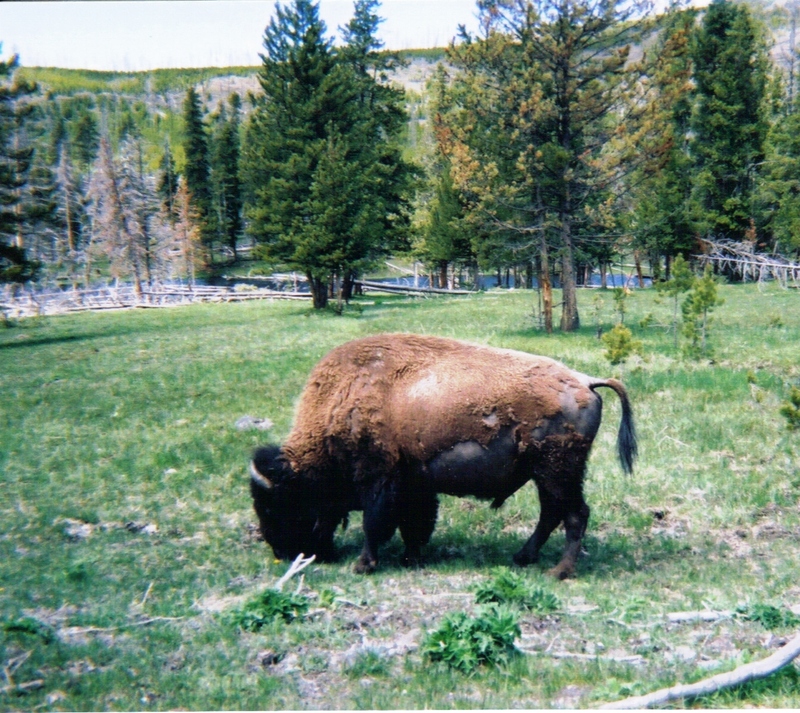 I did not get any pictures of buffalo in Cheyenne, but I like to see them. Buffalo pictures below are from Yellowstone National Park and Antelope Island in Utah. A buffalo shedding his winter coat in Yellowstone. I like the animals. Buffalo are a personal favorite. Too bad you could not get any pictures of them yourselves but these are great. You probably needed that long week off from driving. Anywhere around 300 miles per day in a motor home pulling a jeep after setting up to leave and getting hookups upon arrival... It is a long day. Nothing like hopping in a car and going for a drive. I like to see all the animals, too. It is more fun when they roam free.